This entry was posted on April 20, 2010 at 7:29 am	and is filed under ENGLISH, Fun & Mean, Science & Astrology. 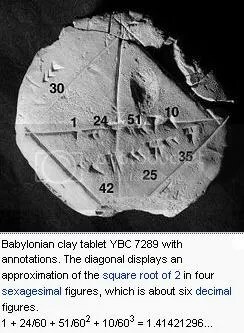 Tagged: ancient, astrology, Egypt, eudoxus, fermat, fourier, Greek, horoscope, mathematics, Placidus, Sumerian, whole signs. You can follow any responses to this entry through the RSS 2.0 feed. You can leave a response, or trackback from your own site. You weren’t the one who wrote that comment I hope? 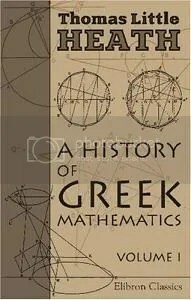 You from all people attributing the choice of whole signs to mathematical incompetence of ancient Greeks? Even if I saw you typing it, I would still find it hard to believe. Let my John be anonymous. I think that it was actually the publisher himself, David Roell. That was the impression I got at least. He makes comments on all of the books he sells. You ignored the part about anonymity for my John -.- At least it is refreshing it wasn’t you. I am not interested in who made the comment. It was a mishap that I consider very insulting (and I still fume about it). I also consider it to be rather insulting/ridiculous. Probably best to delete my comments now though, for the sake of John’s anonymity. Well said! You should have stressed the part about Integrals me thinks, it gets lost. I saw the ‘(ancient) greeks used roman numbers’ in other blogs, how dim can people be? Yet there’s no reference that greeks used a “Whole Sign” system. I’ve reread Ptolemy’s Tetrabiblos and Maniulius’s “Astronomica” twice and I haven’t found even the slightest clue that it was used by any of them. @Nikh apologies for not “stressing about the integrals” 😀 and thank you for the comment. If I am not mistaken the first information about it comes from the Chaldeans (or Babylonians), Greeks were familiar with their system and so it seems rational they used this system – at least initially. Another concept that direct us to that conclusion is in ancient texts the authors seem to use both the words ‘house’ and ‘sign’ to describe the same thing – something you probably noticed too and for me it is very indicative. A third pointer may be the allegation (I’d rather not argue if it is a myth or a fact) that Hindu astrology had Greek origins and since they used and still do whole houses => ancient Greeks did too since they – allegedly – brought the system to Indians. Fourthly, when Arabs came in the picture, some of them deciphered (perhaps correctly) that Greeks used whole signs as we see them using that system. Some info is given in wiki, under “Rationale Behind Twelve Houses” header, mentioning Schmidt & Hand’s books. Better info is found in Brenna’s posts. I have a terrible memory but, I really think I have read it somewhere; perhaps in Μάθησις but I will try to find time and go through the texts I have access to and make sure I note down any clearer indication about whole signs. So far, I go by what other astrologers have written and the point no 2 (that they use both words with the same meaning).